Coming soon. D1 Drift Spec R35 GT-R. 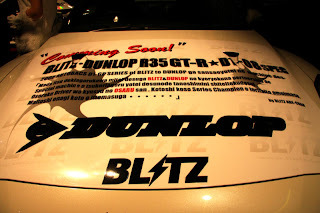 Blitz has had these cars for a while. One of those things that I had heard about a while ago , and now heres the car. Blitz says the stock turbos are good for about 700 hp. that's going to be an expensive one to put into a wall.